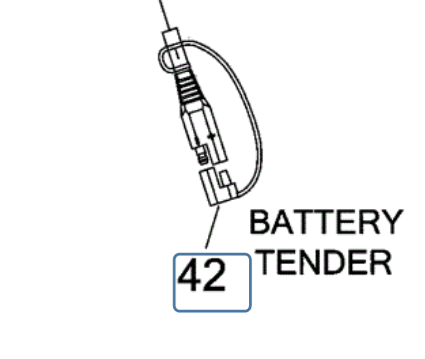 If your bike is the same as Vernal's then the tender will be a spare part to plug into connector 281B, so no cutting necessary. Andy I believe he is referring to 281B. Papa if it's too melted to use and not causing a problem you could wrap it up under the side cover and install a new one to the battery. Or you could cut the bad end off the one you have and splice a new end on. If it were mine I'd solder a new end on and cover the splice with good heat shrink. Connector 281B is the tender connector itself. Still needs to be wired to the bike as mentioned in post #13.